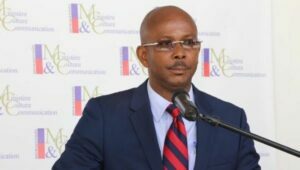 President Jovenel Moise announced that Jean Michel Lapin will be the new prime minister of Haiti. It is French-speaking Caribbean Community (CARICOM) country. Lapin, who had been serving as acting prime minister ever since 93 of the 103 members of the Chamber of Deputies voted in favour of removing Prime Minister Jean-Henry Ceant, last month, was reportedly one of three people who had been considered for the permanent position. Haiti Capital: Port-au-Prince, Currency: Haitian gourde.